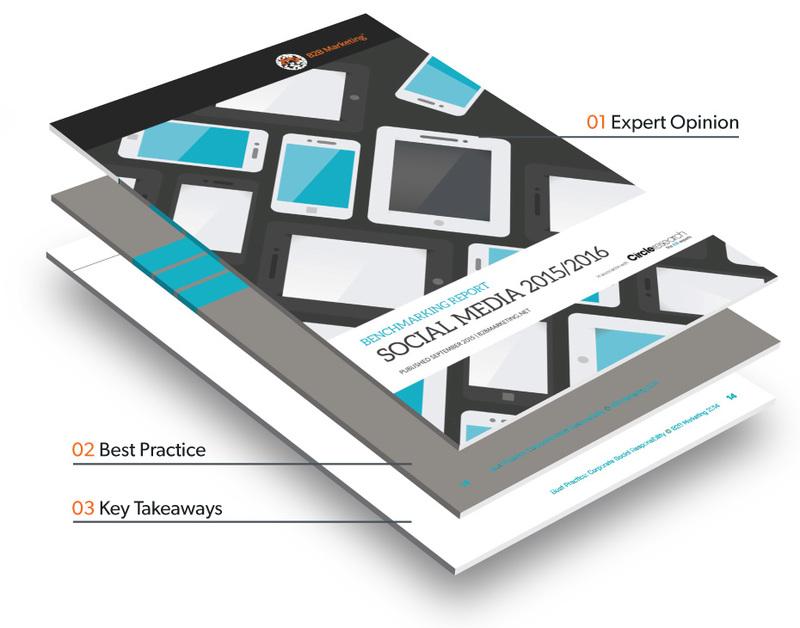 The Social Media Benchmarking Report 2015 takes an in-depth look at some of the major social media trends within B2B organisations. It is based on an exclusive research project, carried out in partnership with Circle Research in July 2015. The analysis was written by Jessica McGreal, digital content manager at B2B Marketing. It is divided into seven sections, covering a number of aspects including platforms, activity and culture, among others. This Benchmarking Report was produced in partnership with Circle Research. Benchmark your current social media activity – and make sure you’re ahead of the game. Improve your social media presence – from choosing the best networks for your brand to adapting your strategy to match different networks’ strengths. Plan for the future - make sure you are prepared for the challenges brought by the rapid evolution of social media in B2B. "Over the last 12 months, interactions have overtaken website visitors as the most popular way to evaluate the success of social media marketing." Section 5 – About Circle Research and B2B Marketing.